I’m reposting this very early piece for two reasons. I’ve been thinking and writing on a considerably “pushy” level lately and thought I might lighten it up a bit. Also I needed the time and bandwidth to concentrate on a number of other larger essays I’m working on. Hope this one re-speaks to you! 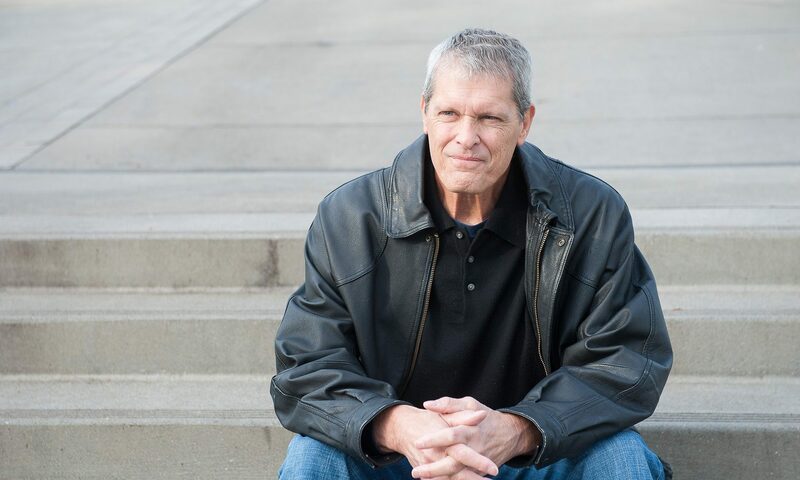 I’ve been a beachcomber for most of my life. Besides finding perfectly whole (un-chipped) sand dollars, beach glass is my greatest beach treasure. 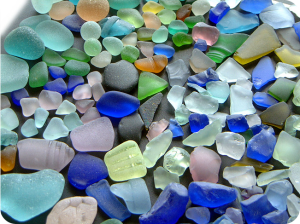 For you non-coastal persons – beach glass is broken pieces of bottles that have been tossed into the waves, broken on the shore, washed back out with receding waves only to have the sharp edges ground down and smoothed by friction with the sand and rocks on the beach. By the time combers like myself collect the pieces, the glass that once served to contain beverages became broken shards, now worn and frosted treasures by the elements.